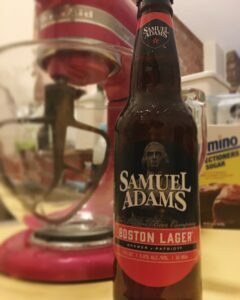 I can’t think of a more traditional Super Bowl drink than beer, and I can’t think of a more traditional Boston beer than Sam Adams Boston Lager. The cupcakes have a light beer flavor, and the slight caramel taste of the frosting highlights the Boston Lager flavor perfectly. And for those of you who, like me, don’t drink beer, I promise you will still love the taste of these cupcakes! And even though these use Boston Lager, Falcons fans and all other fans (and non-fans) will love these just as much as Patriots fans do! 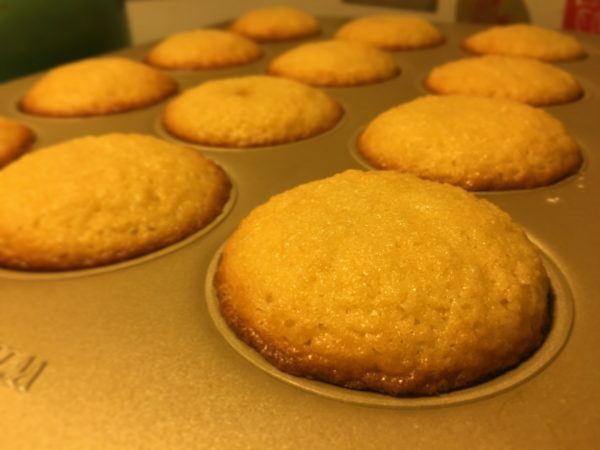 Combine the remaining dry cupcake ingredients (flour, baking powder, salt) in one bowl, and the remaining wet ingredients (beer, vanilla) in another. While still mixing, add to the butter and sugar mixture 1/3 of the dry ingredients, then 1/2 the wet and continue alternating dry and wet until all the ingredients are mixed in. Combine all the ingredients except the powdered sugar in a sauce pan over low heat, stirring until the brown sugar is dissolved. Increase to medium heat without stirring and cook until the entire mixture is bubbling, approximately 3 minutes. Once the mixture is cooled, pour it into a mixing bowl, add powdered sugar, and beat until icing is the proper consistency. If you need to thicken the icing, add more powdered sugar. If too thick, add more beer! If the icing mixture is too warm when adding the powdered sugar, the icing will be too thin. Be sure to let it cool! Best cake!!! I normally eat just the frosting but this cake is amazing! Beer can have that effect! 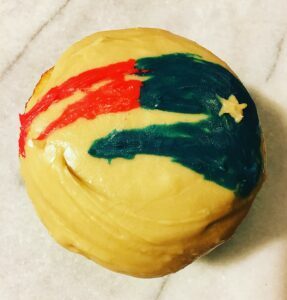 My husband may never eat non-alcohol-infused cupcakes ever again!! Ahhhhhmazing! So glad you guys liked them!! !